Clementine's Bed and Breakfast - Astoria. An engaging historic experience featuring fine foods. There's even a vacation rental available next door. A stately Victorian where each room is stylishly decorated in a mix of Asian and European furnishings, with flowers from their private garden. 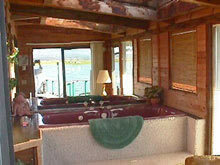 All rooms private baths, luxury linens, some with fireplaces or Jacuzzi tubs. Views of Columbia River, mountains or city. Free wi-fi, cable TV. Large open gourmet kitchen area where breakfast is a multi-course event. 847 Exchange Street. Astoria, Oregon. 503-325-2005. Website. 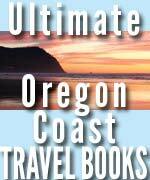 Looking for: Oregon coast Promenade view, lodging near Broadway, vacation rentals, hotels, motels, luxury Oregon coast rooms, deck, pool, inexpensive Seaside, upscale Seaside. Beach House Vacation Rentals, Inc. Over 65 between Seaside and Warrenton; some pet friendly. All non-smoking; some offer specials. Many beachfront, or within a couple blocks of beach, in lovely, quiet neighborhoods. In Seaside as well as Gearhart, including modern condo overlooking Gearhart’s pristine beaches, or lakefront lovelies near Warrenton. May find ping-pong table, fireplaces, big yard, patios, barbecues, balconies and decks with stunning views, hot tubs, swimming pool access. Kitchens fully equipped. Seaside, Oregon. 1-800-995-2796. www.beachhouse1.com. Inn at the Prom. Right on the Prom and one of the few truly oceanfront lodgings in Seaside, this historic beauty has a regal feel surrounding it. Part beach cottage and part upscale hotel (but without the high price), All rooms w/ jetted tub for two, fireplace, kitchens, presidential style pillow-top beds, flatscreen TVs, and free wi-fi. Free DVD collection, beach toys and beach chairs for frolicking in the sand. Rooms sleep two to six. You’ll find a barbecue outside as well. Some rooms have a private patio. Large suites for bigger families. 341 S Prom. Seaside, Oregon. 800-507-2714. Inn at the Prom Website Here. Coast River Inn at Seaside. Overlooking tranquil Necanicum River, short walk to beach, Promenade and even downtown attractions and amenities. Some kitchenettes, sofa sleepers, patios. All have microwaves, coffee maker, fridge, flat screen TV, free wi-fi, air conditioning, desk, bed-side lamps, plush bedding, and more. Some have a Jacuzzi. Some have a river view. Full bathtubs w. shower, electronic locks. Patios have chairs for outdoor lounging. 800 South Holladay Drive. Seaside, Oregon. (503) 738-8474. Website here. Gilbert Inn Bed & Breakfast. An historic building with Victorian-era influences, built around the turn of the century by one of Seaside’s founding fathers. An adults only retreat. There’s even an antique organ in the lobby. Homemade breakfasts made daily. Private baths, daily housekeeping, free wi-fi, in-room coffee maker, flat screen TV’s and bath robes. A highlight is the sun room surrounded by pristine glass, coming with a shared microwave and refrigerator. An outdoor fire pit as well. 341 Beach Drive. Seaside, Oregon. (503) 738-4142. Gilbert Inn website. Looking for: Oregon coast ocean view, barbecues, fireplaces, oceanfront Oregon coast, Jacuzzi rooms, upscale Cannon Beach, hot tubs, spa Cannon Beach. Inn at Haystack Rock, Cannon Beach. Three blocks from downtown, one block from the beach, Charming, even slightly magical, at its center sits a garden courtyard with a Spanish-style fountain. Gleaming white interiors with wondrous wooden touches. All with private patios, free wi-fi, flatscreen TV with DVD player, and large, complimentary DVD library. Available: jacuzzi tubs, fireplaces, full kitchen or snack kitchen, queen beds, and even a sofa. Barbecue area. Some host two or three, while the two-bedroom suite holds up to six people and comes with a loft that has two bedrooms. 487 S. Hemlock. Cannon Beach, Oregon. 800-559-0893. Inn at Haystack Rock website here. Beachcomber Vacation Homes, Cannon Beach. Numerous vacation rentals in the Cannon Beach area, including Falcon Cove and Arch Cape. All homes have full kitchens, most with wi-fi, TV's, washer/dryer, and some are oceanfront and/or pet friendly. Depending on the home, you may find barbecue, claw foot tub, a ship's ladder, views of the estuary at Cannon Beach, granite counters, vaulted ceilings, skylights, and even a solarium. Some homes sleep as many as eight. 115 Sunset Blvd. Cannon Beach (6 miles from Seaside,, Oregon). 855-219-4758. 503-436-4500. Website. Blue Gull Inn.Â Hacienda-themed gleaming wonder, complete with a Spanish-style fountain, rose garden courtyard, just steps away from the beach. Many smaller rooms sleep two, but some larger accommodate four or six. Some of these come with a Jacuzzi tub, jetted tub or fireplace. Amenities: DVD players, free wi-fi, flat screen TV’s, DVD library, onsite coin-operated laundry and beach toys. Spa cottage w/ full kitchen or a smaller guest room with a kitchen. Barbecue onsite as well. 632 S Hemlock Street. Cannon Beach, Oregon. 800-559-0893.Â Blue Gull Inn website. Sunset Vacation Rentals. About 70 homes to choose from in north Oregon coast hotspots like Manzanita, Neah-Kah-Nie, Rockaway Beach, Nedonna Beach and the secretive Falcon Cove. These beauties sleep anywhere from two to 20 and many are pet friendly. Cozy bungalows to large homes with vaulted ceilings – beach funk to cutting edge. Huge array of amenities, such as vintage appliances, woodstove, DSL, wraparound deck, fireplace, soaker tub or wet bar and more – depending on home. 186 Laneda Ave., Manzanita, Oregon. 503-368-7969. 800-883-7784. www.ssvr.com. 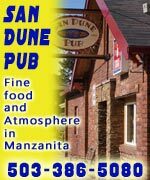 San Dune Inn, Manzanita. Just blocks from the beach, this cuddly little pet- and family friendly charmer boasts a host of complimentary fun stuff like beach games, beach chairs, a whimsical garden, umbrella-ed outdoor eating area. Huge arary of book, free wi-fi, cable.. Immaculate rooms - sense of fun as well. Small pet fee. www.sanduneinn.com . 428 Dorcas Lane, Manzanita. 503-368-5163. Spindrift Inn, Manzanita. A mere one block from Manzanita's pristine beaches, Spindrift Inn retains the quaint charm of yesteryear, with modern conveniences. Smoke-free with some pet friendly rooms and kitchenettes. Each room is individually decorated and includes; Serta pillow-top queen mattresses, adorable quilted comforters, microwave, mini-fridge, coffee maker., LCD TV & DVD player. Hi-speed wireless & lots of movies. Cozy atmosphere and private hidden garden. 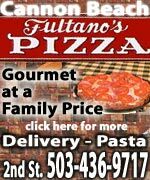 Family owned since 1946. 114 Laneda Avenue, Manzanita, Oregon. Toll-free (877) 368-1001, www.spindrift-inn.com. Ocean Inn. Located on the beach, eight beautifully appointed condo-like units and two smaller kitchenette units.Some w/ one bedroom, full kitchen, full bath, wood stoves, decks facing the ocean. Others on second floor, ocean view, full kitchen. One has a large Jacuzzi tub. Six w/ kitchens and ocean views. One is ADA compliant. Some units are pet friendly. Gourmet, locally brewed coffee and cookies in the lobby, Comfort Sleeper couches by American Leather, and 32-inch flat screen TV's – plus WiFi. 32 Laneda Ave. Manzanita, Oregon. 503-368-7701. 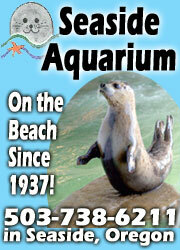 866-368-7701. www.oceaninnatmanzanita.com. Sunset Vacation Rentals in Rockaway. About 70 homes to choose from in north Oregon coast hotspots like Manzanita, Neah-Kah-Nie, Rockaway Beach, Nedonna Beach and the secretive Falcon Cove. See above in Manzanita listings. 503-368-7969. 800-883-7784. www.ssvr.com. Rockaway Retreat - Rockaway Beach Vacation Rental. A beautiful and brand new addition to the north coast town that's just four blocks to the beach. An even quicker walk to downtown Rockaway Beach. A turnaround driveway is one highlight. Open plan floor. Also comes with a Jacuzzi, bath and shower. Other amenities include TV/DVD, propane barbecue, DVD collection, books and games, patio furniture, firepit, Dish TV and washer and dryer. Through Beach-Break Vacation Rentals, LLC (office in Nehalem). 503-368-3865. Website here. Sandlake Country Inn. Relaxation and romance are the keys at this cozy B&B secret, hidden along the Three Capes Scenic Loop, one mile from ocean. 1st certified green B&B on coast. Like a small luxury hotel, with sumptuous amenities such as double Jacuzzi spa tubs, fireplaces, bubble baths, soaps, lotions and robes, along w/ large selection of movies, wi-fi. Private deck and a four-course breakfast delivered to your door. 8505 Galloway Rd. (Near Pacific City, Oregon). 877-726-3525. 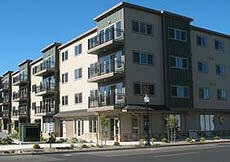 503-965-6745. www.sandlakecountryinn.com. Hart's Camp, Pacific City. Luxury camping, no effort. Vintage Airstreams refurbished w/ upscale build create new kind of luxury camping, all high-end amenities you'd find at a fine hotel. Flat screen TV's, cable, DVD players, full bathrooms, manicured grass, each Airstream has kitchen, fridge, coffee maker, high-end dishes. Other features: fire pits, wi-fi, outdoor gas grill, Adirondack chairs and bikes to borrow. Takes large groups. Off Brooten Road, Pacific City, Oregon. 888-965-7001. Hart's Camp Website here. Oceanfront Cottages in Oceanside. Charming rental homes all over Oceanside. Decks with a monster of a view, right on the beach of clandestine Oceanside. You'll find two baths with pedestal sinks, oversized soaking tub in the master bedroom, wood burning fireplace with wood provided, as well as an electric forced air furnace. A large deck lets you watch your kids play in the sand from the cottage, also featuring a gas barbecue. Also, enjoy TV with cable, DVD/VHF and wi-fi. It’s a nicely furnished oceanfront home - perfect retreat for family vacations or romantic get-away weekends. Oceanside, Oregon. See website and contact info here. Coho Oceanfront Lodge. Overlooking the Pacific; upscale, luxury hotel w/ some pet friendly. Jacuzzi, sauna, indoor heated pool, in-room massage, wifi, fitness room. Studios w/ balcony, deluxe suites for small families, couples. Suites designed for kids; big suites for larger families up to eight; fireplace suites too. Luxury suites available. Free continental breakfast. 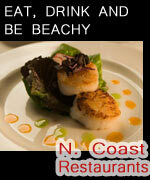 1635 Northwest Harbor Ave. Lincoln City (35 mins from Newport). 800 848 7006. www.thecoholodge.com. Inn at Lincoln City. Not only directly in front of the famed D River Wayside but right on the river, coming with a lakeside fire pit. A mere block from the beach. Elegant guest rooms; views and whirlpool tubs. ADA-defined service animal-friendly. Complimentary breakfast in the morning, free wi-fi, a business center, accessible elevator, a sizable DVD library, pets allowed and a 24-hour lobby. All rooms come with coffee maker, microwave, refrigerator, flat screen TV, hair dryer, air conditioning. 100 percent smoke free. 1091 SE 1st Street. Lincoln City, Oregon. (541) 996-4400. Website here. An Ocean Paradise Whales Rendezvous, Depoe Bay. Two oceanfront suites for a romantic getaway: Vacation Rental package or a Bed and Breakfast Package, you get to choose. Private deck, private outdoor entrance. Large outdoor deck / garden area, wood fire pit, Adirondack chairs. Suites come with elegant antiques, gas fireplace, fridge, microwave, toaster, coffee maker, WiFi, cozy robes, satellite TV, DVD, and binoculars to watch the whales. 147 N. Highway 101. Depoe Bay, Oregon. 541-765-3455. Website here. Keystone Vacation Rentals. Luxury oceanfront condos in Depoe Bay - and Lincoln City. See Lincoln City listings above. Prince of Whales Vacation Rental Condo. A gorgeous vacation rental overlooking the waves and rocky grandeur of Depoe Bay. New kitchen, bathrooms, and furniture throughout the entire condo. An open living room and kitchen have full ocean views, perfect for whale watching. River rock fireplace and flat screen TV, a jetted tub, gas fireplace, wi-fi, DVD player, cable TV and one king bed and one queen bed. Sleeps a total of four. North end of Depoe Bay. Website here (through A1 Vacation Rentals). (503)-232-5984. Pacifica House / Waves House, Waldport. Two contemporary vacation rental homes in Waldport. The Waves House sleeps 7 guests; 2 bedrooms, 2 full baths, comp wine, high speed wifi, 50- Smart TV, dog privileges, expansive views of the ocean, wood fireplace, cathedral ceilings, and a private hot tub under the stars with an ocean view. Especially child-friendly features. Pacifica House sleeps 8, 3 bedrooms, 2 full baths. Jacuzzi tub. 7-mile flat sandy beach, pool in summer. Waldport, Oregon. 541-968-0322. Website here. Yaquina Lighthouse Home. Spacious vacation rental close Yaquina Head Lighthouse, hosts up to 10. Place of luxury and yet whimsical fun. 4 bedrooms, gas fireplace, gaming system, cable TV, 2.5 baths, a ping pong table, air hockey, wi fi, oceanfront. Washer/dryer, microwave, stove top and a dishwasher. One room w/ pirate theme; a den/library, kitchen, breakfast room. Jetted tub. Sunroom perfect for winter whale watching. In Newport, Oregon (private neighborhood). Through Oregon Beach Vacations. (800)723-2383. Website Here. Sapphire Sands Vacation Rental. Close to glorious Heceta Beach and its pristine sands; discerning taste but budget-conscious. Hot tub, free secure wi-fi and a boutique feel - owner living on property for better service. Romantic, rustic, holds no more than two. Covered courtyard. Full kitchenette: microwave, toaster oven, electric skillet, crock-pot, blender, 12 cup coffee maker, bagel toaster. Queen bed, electric pot-bellied stove. No smoking, pets or children. Minimum age 28. Just north of Florence (A 40-minute drive from Newport, Oregon). 650-575-9151. Website. Who Has the Price Drops on Oregon Coast for Spring Break?